You could always expect to witness different celebrities promoting dietary products and fat loss regimes on TV, in newspapers, as well as on the web. There is a certain something about a celebrity endorsement that just makes lots of people run to the shops to purchase products. 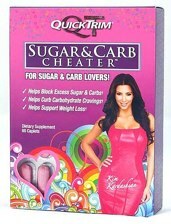 Quick Trim Sugar Carb Cheater is an example of one of these fat loss supplements, and it is recommended by Kim Kardashian. The supplement can be discovered in the usual drug stores and supermarkets, as well as on the internet via sites such as Amazon. It retails for $24.95, and it is specifically aimed at people who like lots of sugary food and carbs. Chromium, Biotin, Diafin, Phaseolus vulgaris, Fenugreek seed, extract of Banaba leaf, Vanadyl sulfate and extract of Bilberry fruit. The caplet formula of Quick Trim Sugar Carb Cheater can be consumed each day with water. This diet product is meant to stimulate weight reduction, quell cravings for carbohydrates, and block the excess carbs and sugar you eat. So, effectively, it assists with suppressing your hunger for bread, pastries, doughnuts, sweets, soft drinks, and additional sugary foods. Consequently, you are supposed to burn excess calories from eating less food that is rich in carbohydrates. Moreover, the sugary foods and carbs you do consume won’t get absorbed into your blood-stream so much. After all, the Quick Trim Sugar Carb Cheater blocks these carbohydrates. It seems as if this supplement is suited for both men and women. Regarding the main ingredients utilized in the Quick Trim Sugar Carb Cheater, they are: extract of Banaba Leaf, Chromium, Phaseolus Vulgaris and Fenugreek Seed. Regrettably, what all of these ingredients are actually meant to do is not explained. In respect of a 100% customer satisfaction guarantee, this is not mentioned. 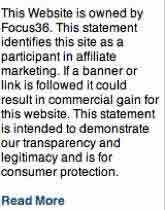 Furthermore, there are not any customer testimonials displayed for the Quick Trim Sugar Carb Cheater. Neither is there any scientific data provided to support any of the manufacturer’s claims. This fat loss supplement is straightforward to acquire in the normal high-street shops and on the web. The ingredients utilized in Quick Trim Sugar Carb Cheater do get disclosed. This supplement might help to quell cravings for sugar. No scientific evidence is offered to back up this supplement. No 100% customer satisfaction guarantee is included. 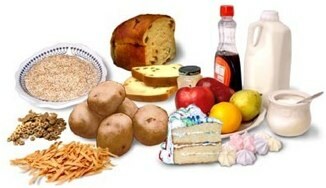 The components utilized in the Quick Trim Sugar Carb Cheater might produce side-effects in some customers. No testimonials from customers are displayed for this dietary supplement. All in all, there are lots of dietary supplements and products being aggressively promoted by Quick Trim. The majority of these seem to be short-term fixes as far as fat loss goes, and they do not usually come with any approval from the F.D.A. With regards to the Quick Trim Sugar Carb Cheater, this product is not backed up by any scientific data, or even by any testimonials from customers. So, it is probably a sensible idea to approach this product with caution until there is some more feedback about it. There are several stockists that stock a variety of the SlimQuick range including pharmacies such as Shoppers Drug Mark, Jean Coutu< Loblaws and Rexall. Health supplement specialists GNC also are resellers as are Wal Mart. 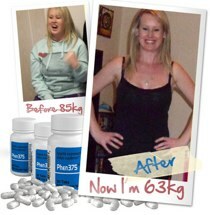 If you are just researching the possible options of which diet pill to choose the Phen375 should enter the equation. An exceptional commercial combination fat burner and appetite suppressant that has lost of rela life life testimonials. While the likes of SlimQuick use the contractually obliged celebrity, Phen375 used testimonials and success stories from the real and ordinary world – this speaks volumes.